Thinking about holidays in the United States, made me wonder about traditions and how they appear. Cultural fluency is a direct result of assimilating into a culture. In fact when people immigrate into the United States part of the assimilation process is adapting to the language and “norms” of society, which includes national culture and traditions (Mourney, Lam & Oyserman, 2015). Valentine’s Day, celebrated on February 14th, is part of cultural expertise, as are other holidays celebrated in yearly intervals. Imagine that you have immigrated into the United States and are dating someone from our culture. When Valentine’s comes around and you haven’t bought your new found love a card or gift, what happens? Probably nothing because you have been dumped, with no word or even fun, during what seemed to be just another day. That is how pervasive certain symbols like Valentine’s Day have become in our culture. 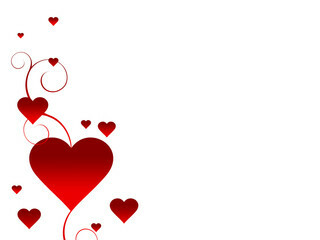 Ask anyone from the United States about Valentine’s Day and they will tell you it is a day to express your love and admiration of someone special. Valentine’s Day is symbolized by the colors red and pink, red and pink roses, red and pink cards, and represents how much you love that special someone. If you haven’t given a gift, then you haven’t shown how much you love the other person. However, if someone showed up with black flowers, black clothing, and a black card you would assume that the person was going to a funeral. These colors represent mourning not love and lust. You probably wouldn’t be received well either way because both acts go against our cultural fluency and doesn’t resonate well. Not bringing a gift or giving an inappropriately colored gift is not a wise idea if you are trying to get lucky with the person you love. So, as the Valentine’s Day holiday comes up on February 14th, guys and girls should exhibit cultural fluency by showing how much they love and care by purchasing gifts and cards that express their feelings. Red and pink are symbols of that love and to make an impact on someone you adore. You must show up at the door with items of affection that are congruent with our societal norms. So guys and gals, a perfect gift is our TEDDY LOVE BEAR gift baskets for Valentine’s Day. They show how much you love and adore your sweetie all year long and are an assurance that you will not only be appreciated, but get very lucky that night and throughout the year.